Property Maintenance Manager: DO YOU HAVE WHAT IT TAKES TO BE A MAINTENANCE MANAGER? DO YOU HAVE WHAT IT TAKES TO BE A MAINTENANCE MANAGER? One thing that people sometimes forget is that property maintenance is so much more than fixing toilets or cleaning the pool. Properties such as apartment complexes are big so this job requires that you have a broad understanding of how maintenance is managed on a large-scale. It helps to have some experience working for an agency before trying to tackle an entire property on your own. Maintenance is not a specialized field. If you only know how to take on HVAC, you’ll be in big trouble when the pipes start to burst in the winter months. Experience is everything when it comes to maintenance. Spread yourself out as much as possible but make sure that you are knowledgeable in areas such as plumbing, HVAC, and electrical. Basic drywall skills would also be very useful. 3. Does your expertise match their problems? It pays to do a little research before you apply with a certain property. 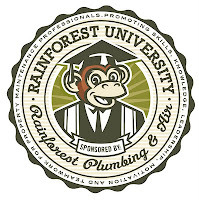 Oftentimes, an apartment complex will have one certain area (such as plumbing) that has chronic problems. This is typical for older complexes. Just like #2, a jack-of-all-trades is preferred but remember that places have their own specialized problems. Ask around and use it to your advantage. Sometimes, properties will hire maintenance managers who live right there on-site so. This is so that they will be in close contact in case something happens in the middle of the night. This is also quite rare. With that in mind, how close do you live to the property that you will be maintaining? Would you be readily available in case of emergency? 5. Will you be full- or part-time? Again, this depends mostly on the property. Most properties in the greater Phoenix area and most parts of the Valley are generally very large and will require a full-time maintenance manager. It is a huge plus to property managers to have a maintenance manager who is on-call. Also a huge plus. You should have some employer references attached with your resume. Properties are usually very familiar with other properties and if they notice that you used to work for a well-known property, they will be more likely to consider you for the job. References should be in letter form. 7. Do you have a Crimshield background certification? 8. Can you keep up with demand? Some properties will want to hire maintenance manager to be responsible for more than one property. Would you be able to meet the demand of such a position? To be maintenance manager, they'll have to make sure that they do the job and all the supplies they need to get the job done are either on hand or can be ordered. BTW, great information!